Ayn Rand's timeless novel of rational self-interest comes to life for a new millennium.". The year is 2016, and America is on the verge of economic disaster. The greatest citizens are being targeted, and dark forces are working to bring about America’s final days. Our only hope for salvation lies with Dagny Taggart and Henry Rearden, rugged individualists whose bold ideas may have the power to spark a revolution and reclaim to the American Dream. $1.746 million on 1012 screens. Back in the spring of 2011, Atlas Shrugged: Part One hit movie screens with a massive thud. The first of three planned films intended to bring the Ayn Rand novel to cinemas, the flick received brutal reviews and made a sub-pathetic $4.5 million at the box office. Part One tanked so severely that it looked like we might never get the subsequent two chapters. However, the producers managed to scare up the funding for Part Two, which reached screens in the fall of 2012. The result? Even more caustic reviews – with a Rotten Tomatoes score of 5 percent, a drop from the 11 percent “enjoyed” by Part One - and even less money, with a US gross of $3.3 million. 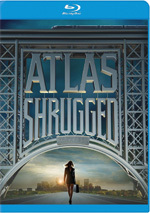 As of February 2013, IMDB offers no listing for Atlas Shrugged: Part III, so the series’ finale remains in doubt. My guess is that the producers will find a way to dig up the funds; the movies don’t cost much to make, and there are enough Rand acolytes with deep pockets that I suspect one or more of them will want to get this pony to the finish line. I’d like to see Part III due to a form of perverse curiosity – the same kind of curiosity that led me to watch the first two chapters. Part One delivered a thoroughly terrible film, so I just had to see if Part II could live up – or down, as it were – to its predecessor. 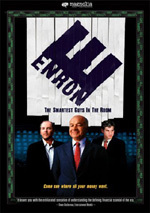 Two years after the events of the first film, we find a world on the brink of economic collapse. In the US, unemployment reaches a staggering 24 percent and gas costs $42 per gallon, so railroads operate as the dominant mode of transport. Technological mogul Dagny Taggert (Samantha Mathis) learns of an engine that operates on static electricity, but she can’t find its creator and no one knows how to replicate its functions. In fact, innovators have gone missing for some time now, as governmental restrictions on free enterprise cause them to retreat. This leaves Dagny and free-minded industrialist Henry Rearden (Jason Beghe) as the best hopes to battle back and restore prosperity, all while Dagny tries to solve the basic mystery: who is John Galt? Back when I reviewed the first movie, my response was “who the frack cares?” and nothing in Part II changes that attitude. I’m tempted to simply cut and paste my write-up for Part One, as the second chapter does nothing to alter the flaws found back then. If anything, the issues seem even more glaring, as Part II boasts a stronger cast. Actually, both come with a lot of “B” or “C” level actors, but I think we get more recognizable faces in Part II, so theoretically, the quality of the performances should improve. They don’t. Part II comes with sweeping cast changes, as not a single notable actor from the first film reappears. That seems perplexing, and I’d love to know why this occurred – were the performers from Part One too ashamed to subject themselves to this misery again? Probably not, but even with all the changes, the quality of the work remains awful. The choice of Mathis seems strange just because she’s 14 years older than Taylor Schilling, the first flick’s Dagny. Granted, 42-year-old Mathis is closer to the character’s age than 28-year-old Schilling was, as Dagny apparently was supposed to be 36 at the time of the film’s events. Still, it’d make for a jarring shift if you went straight from Part One to Part II, and Mathis’s performance does nothing to create a smooth transition. Like most of the others in the cast, Mathis has talent, but you wouldn’t be able to tell that from her atrocious performance here. She seems robotic as Dagny, with facial expressions that appear to have been programmed via computers. The other actors follow suit; if any good turns show up here, I can’t find them. To a large degree, I can’t blame the actors, for the construction of the film does them no favors. Like the first film, Part II consistently displays incompetent filmmaking. The script comes with unnatural dialogue prone toward speeches, while the narrative plods and goes nowhere, as its attempts to form intrigue simply bore. This is because Part II doesn’t exist as a cinematic experience. No, it exists as a political screed. Its release date weeks before the 2012 presidential election wasn’t a coincidence, as the entire film works overtime to warn us that four more years of Obama will lead to a world ala Shrugged. With such a narrow goal, the movie can’t help but collapse under the weight of its own propaganda. Any attempts to actually entertain are tangential at best, though the film seems unlikely to change any ideological minds. It’ll preach to the choir for those of the Rand mindset, while its ham-fisted sermonizing will turn off those who don’t already worship at the altar of Ayn. I don’t have to agree with a movie to like it. Heck, JFK delivered the biggest load of codswallop committed to celluloid, but it also brought us exceptional filmmaking. Atlas Shrugged: Part II provides political propaganda with no cinematic merits to redeem it. 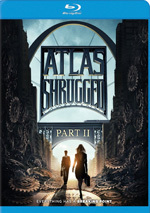 Atlas Shrugged Part II appears in an aspect ratio of approximately 1.78:1 on this Blu-Ray Disc. This was a consistently solid presentation. Overall sharpness seemed positive. A few wide shots came with a smidgen of softness, but those instances remained modest. Most of the movie appeared accurate and well-defined. I witnessed no issues with shimmering or moiré effects, and edge haloes failed to appear. Print flaws also created no distractions. As with the first movie, Part II adopted a somewhat sepia feel. Colors still managed pretty good vivacity and clarity, though. Blacks appeared dark and tight, and I thought low-light shots demonstrated appropriate clarity. This turned into a satisfying presentation. In terms of audio, the DTS-HD MA 5.1 soundtrack of Part II was ambitious but not impressive. While the mix used all five channels in an active manner, it did so without great delineation. Effects tended to fill the room without strong localization; though the elements used all the speakers, I didn’t often notice concise placement. That meant the mix was loud but not as accurate or involving as I’d like. At least audio quality was fine. Effects sounded lively and full, without distortion or other issues. Speech was concise and natural, while music showed nice range and vivacity. The track sounded fine, but the mushy integration and localization made it a “C+” track. A few extras round out the package. Behind the Scenes of Atlas Shrugged II goes for eight minutes, 48 seconds and gives us footage from the shoot. We get “fly on the wall” material without any form of commentary. It’s a decent look at the set. The conservative TV/radio host appears via the Sean Hannity Extended Segment. In this three-minute, 13-second clip, we get a longer version of a scene from the film. It’s unnecessary, as it just spouts the movie’s message over and over again. 17 Deleted Scenes run a total of 14 minutes, 43 seconds. Most of these extend existing sequences, so don’t expect anything unique. We see more sermonizing and more of the Dagny/Henry relationship as well as some minor expository moments. They’re forgettable. The disc opens with an ad for A Late Quartet. Under Sneak Peek, we get clips for Broken City and Hitchcock. No trailer for Shrugged pops up here. Is it possible to view Atlas Shrugged: Part II as anything other than red meat for the Tea Party set? Sure – I can also see it as a dull, incompetent piece of filmmaking. The Blu-ray gives us very good picture but audio seems lackluster and the set lacks substantial bonus materials. The choir will enjoy being preached to via the film’s narrow message, but all others should avoid this stinker.